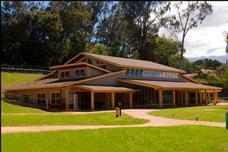 Our Silver LEED Certified Root Family Center (RFC), located on our campus in beautiful upcountry Makawao, is available for rent for private and community events. The RFC includes a flexible open space, full kitchen, stage and lanai, and is suitable for groups up to 411 (with tables and seating for about 200). Contact Ku'uipo K. Muscutt at events@momi.org or (808)269-6433 to book a rental or to receive more information.